Toxic pesticides: How can they can affect your pets? Home > Dogs & Cats > Organic Lawn & Garden > Pesticides > Pet Health > Pet News & Information > Conventional pesticides: How can they can affect your pets? 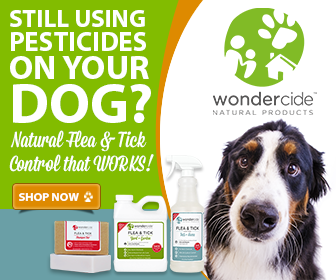 Conventional pesticides: How can they can affect your pets? 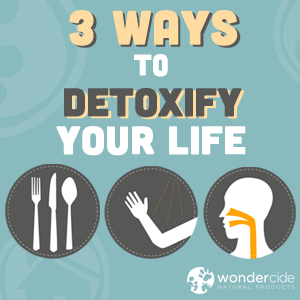 It’s easy to overlook your four-legged companions when you think about the toxins that your family could be ingesting through the products you use around the home and lawn. Dogs and cats use their noses to poke around and explore outside and because their noses are a moist, mucous membrane, it’s an easy place for conventional pesticides to be absorbed, inhaled, and ingested. Another cause for concern would be if your dog consumes contaminated plant material in and around your home. Cats are known to be specialist carnivores and they lack certain enzymes in their liver that detoxifies chemicals, making them especially vulnerable to the effects of conventional pesticides. 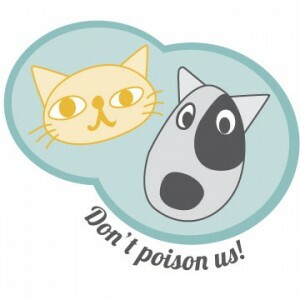 Have you also considered the dangers of secondary poisoning in your pets? Dogs and cats can eat rodents, insects, and other animals that could possibly be ridden with conventional pesticides. Symptoms of secondary poisoning might not occur for weeks, so it is vital that you watch your pets closely and keep an eye on what they are eating. To mitigate the need to monitor your pets, you can choose to use all natural, safe products. If you spray conventional pesticides on your grass or inside your house, your dog or cat will most likely absorb them through one method or another. Examples could be laying in the area, licking their fur after exposure, or even the indoor air quality of your home where conventional pesticides have been sprayed and persist in the environment. Ultimately all of this affects your health too. 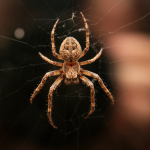 Contamination in small dosages can take years to build up in our pet’s (as well as our own) body but its never too late to start using safe pest control products. Implementing an integrated pest management program will help ensure that your pets will not have conventional pesticides in or on their bodies affecting their kidneys, liver, lymph nodes, and other areas of their central nervous system. Be aware, spot drops that are applied to the back of the neck for monthly flea and tick treatments ARE conventional pesticides. Although conventional pesticides will have different effects on your pets, if you suspect your pets may have conventional pesticide poisoning and display any of the symptoms of listed below, contact your local veterinarian immediately. 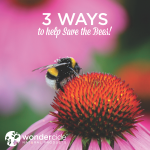 3 Ways to Help Save the Bees! Harmful Chemicals in Everyday Products: Where Are They?